While the BJP has 13 MLAs, three members each of the Maharashtrawadi Gomantak Party (MGP) and GFP along with three independents are supporting the government. MUMBAI: The Congress on Saturday wrote to Goa Governor Mridula Sinha and staked claim to form a government in the state, saying the BJP-led government was in a minority after the death of BJP MLA Francis D’Souza. 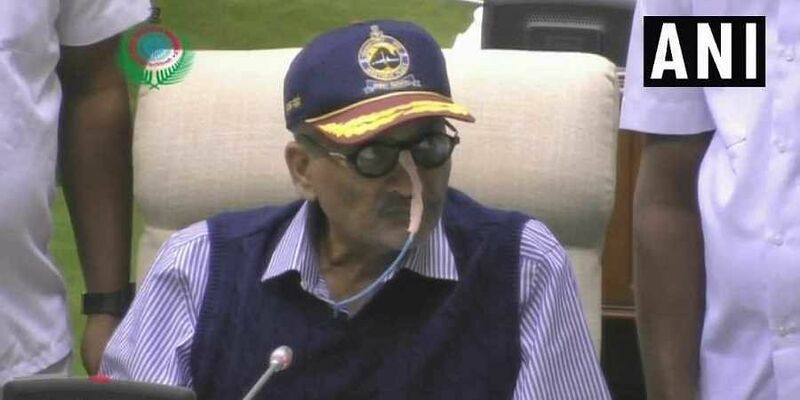 Amid rumours about Chief Minister Manohar Parrikar’s deteriorating health, six MLAs in the Assembly have formed a separate group, a move that has fanned speculation regarding a new chief minister. The leader of opposition in the Goa Assembly, Chandrakant Kavalekar, wrote, “We anticipate that numbers of the BJP may further dwindle.” It led to rapid political developments in the state and six members of the Assembly formed a new group under the leadership of Goa Forward Party (GFP) leader Vijai Sardesai. After the death of D’Souza in February, three seats are vacant in the 40-member Goa Assembly. The Congress, which originally had 16 members, now has 14 MLAs in the House after two of its members resigned to join the BJP. While the BJP has 13 MLAs, three members each of the Maharashtrawadi Gomantak Party (MGP) and GFP along with three independents are supporting the government. The House has a single NCP member who is supporting the Congress. While Sardesai said the CM’s health had “deteriorated”, but he was “stable”, sources close to the Parrikar family said that he had slipped into a coma. Sources at the chief minister’s residence confirmed that 30 oxygen cylinders were brought there in the morning.